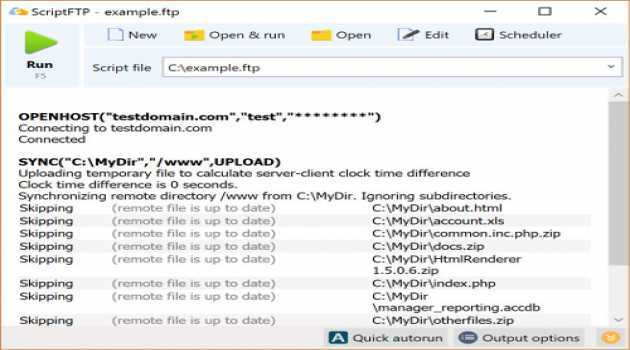 File Uploader is a small command-line tool that allows you to upload one or more files (wildcards allowed) to HTTP and FTP servers. It can be easily used in a script, a batch file or the Task Scheduler to automate resources uploads. File Downloader is a small command-line tool that allows you to download one or more files from HTTP and FTP servers. It can be easily used in a script, a batch file or the Task Scheduler to automate file downloads. Batch File FTP Sync Uploader is an Incremental FTP Uploader/Synchronizer can upload/synchronize incremental files easily and speedily. 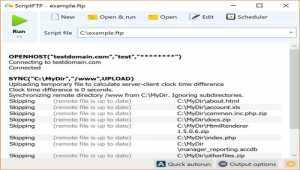 Batch File FTP Sync Uploader upload modified files only to save your time to upload. A easy-use web publisher. 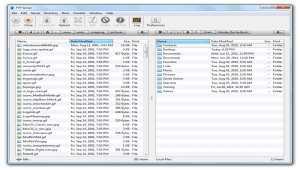 Classic FTP is an easy FTP client that allows you to upload, download and delete files from a remote server.  "Mirror and Upload" tool to scan a selected local folder and upload any files that do not exist in the selected remote folder. 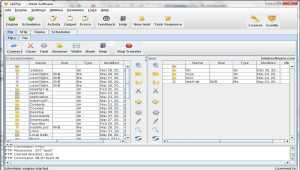 ScriptFTP is a FTP/FTPS/SFTP client designed to automate file transfers. It follows the commands written on a text file (also called script file) and make the transfers automatically. A file transfer protocol client. Transfers over 2GB supported. Designed as an enterprise solution it's robust in network support for Windows technology. 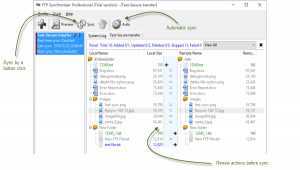 Performs file actions over MSN networks, FTP and local drives in any order. 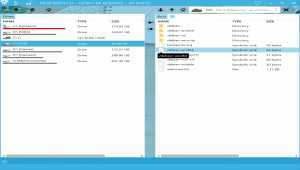 Sync synchronization file sync file backup file sharing LAN P2P FTP. 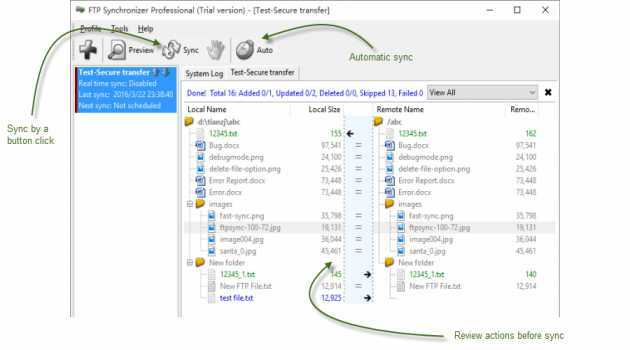 Plusync provides a fast, convenient and secure method to synchronize folders as well as back up files. It supports multiple computers and mobile devices, besides, it uses LAN transmission rather than cloud storage. 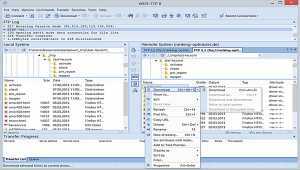 WISE-FTP is a powerful FTP client using drag & drop for convenient file and folder transfer on the Internet. 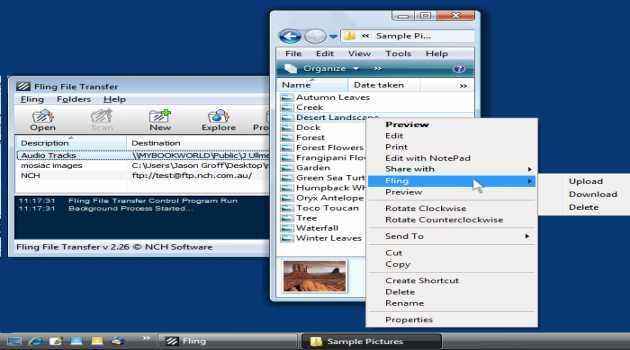 It offers direct editing of files and folders on the FTP server, resumption of aborted downloads, and more.